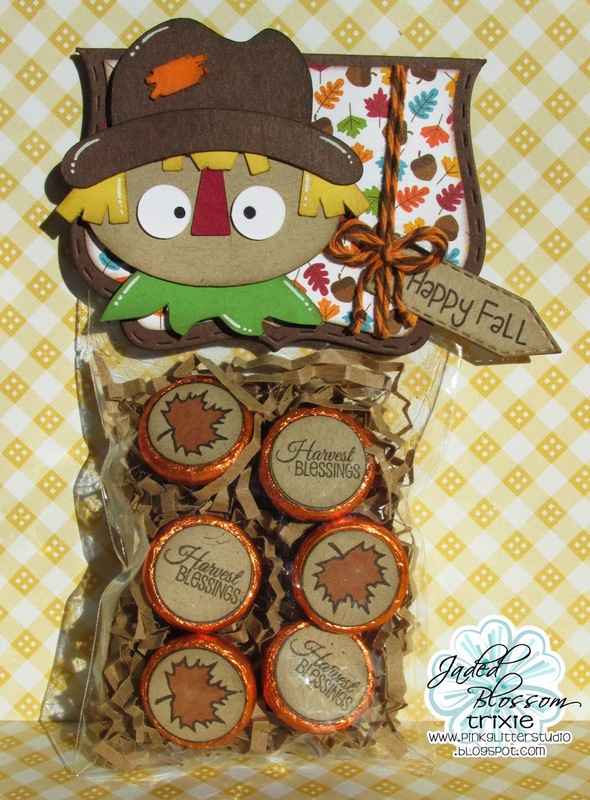 Trixie here and today I have a Fall treat bag to share with you. I used the Scarecrow from the Harvest Handled Bag from SVG Cuttiing Files. I think he's just adorable! I added him to the Jaded Blossom Fancy Topper Die. I used the Thanksgiving Candies on the Kisses. 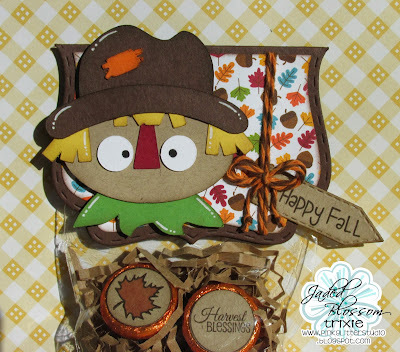 I stamped the sentiment from Let's Talk Turkey on one of the Mini Tag Dies. These new Mini Tag Die work so awesome on the Fancy Topper Die. LOVE them!!! Thanks for sharing and have a GREAT hump day!!! This is just so cute!! I LOVE this! That background paper is so vibrant too!